Bumble bee (Bombus sp.) 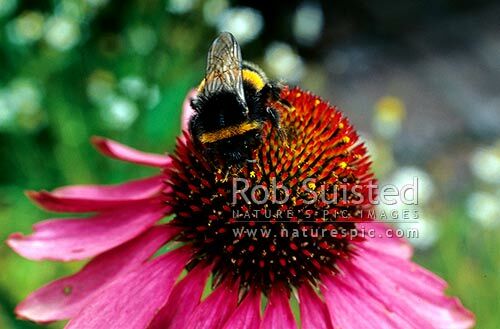 on the medicinal herb Echinacea purpurea. Purple love flower, New Zealand (NZ), stock photo.